Download Free jQuery Loading Spinner, Lazy Load, Loading Overlay, Progrss Bar, Image Preload, and other content loading plugins at jQueryScript.Net. Page 7 .
imagesLoaded is an useful jQuery plugin for detecting and checking all the images within the container have been loaded and then triggers events for further action. imagesDelay.js is a lightweight, cross-browser, high-performance jQuery image lazy load plugin for long web pages containing tons of large images. siLoader is an extremely lightweight jQuery plugin that speeds up the page load by deferring the loading of images until the page has been completely loaded. sPreLoader is a simple, lightweight jQuery plugin that displays a fullscreen preloader with a percentage indicator while pre-loading images and content of your webpage. Yet another jQuery Youtube video lazy load plugin that displays the thumbnail images of Youtube videos on the webpage and then plays them when clicked. Just another jQuery plugin that allows you to dynamically load local or external data into current webpage when scrolling down or by clicking on the 'load more' button. 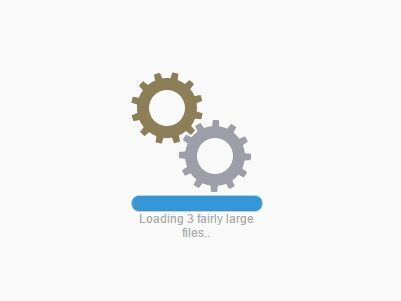 loadMore.js is a tiny, easy-to-use jQuery plugin for generating a loading more button which allows to load more web content from external data sources via AJAX requests. Prelodr is a preloader plugin for jQuery that helps you create Material Design-style preloaders with async and chaining support as you seen on Google Inbox. Image Loader is a jQuery plugin that progressively displays image loading progress and triggers a callback function when the image is completely loaded.